But, over the past 12 months, cork producers have developed techniques to offer winemakers the reassurance they could once only dream off – a natural cork with a guarantee that TCA will be non-detectable, meaning that if there is any remnant of TCA in the stopper, it is below the detection threshold of 0.5ng/l. Such is the breakthrough that former poster boy for screwcaps – Domaine Laroche in Chablis – has now gone back to natural cork for its premiers and grands crus wines. 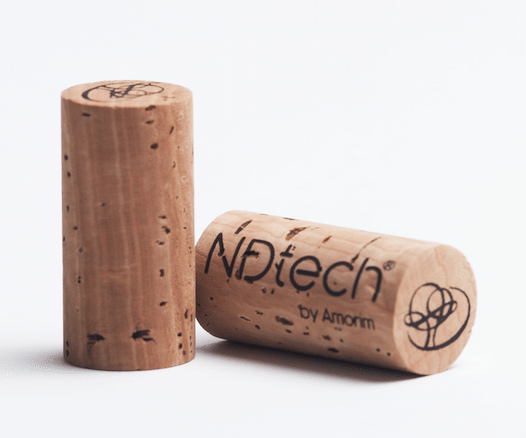 Last year, the Burgundian producer, which famously switched to screwcaps for all its wines in 2001, adopted Amorim’s new ‘NDtech’ corks. Standing for non-detectable, NDtech uses gas chromatography to screen each natural cork for TCA. Currently, the patented machines can scan each cork in 20 seconds, which is significantly less than the 14 minutes for standard gas chromatography technology. In 2016, Amorim screened and sold 10m NDTech corks, but has the capacity to process up to 50m corks annually, although Antonio Amorim says that the demand for the new guarantee means that he could already sell five times that number. Such a development has also put demand for the natural whole cork stopper back into growth, says Amorim’s de Jesus, noting that he now has an order for NDtech corks from New Zealand, the most anti-cork nation in the world, and founder of the New Zealand Screwcap Initiative – an affiliation of producers who united to promote the benefits of the aluminium closure back in 2002. But it’s not only Amorim that is offering such reassurance when it comes to TCA. Both MASilva Portugal and Cork Supply have invested in machines that check each individual cork for traces of TCA. In January 2016, MaSilva unveiled its One by One service, which, like Amorim’s NDTech, comes with a non-detectable TCA guarantee. Six months later, Cork Supply launched the DS100+ “dry soak” detection system for TCA in natural cork. With this system, Cork Supply says it will eliminate the risk of TCA in natural cork at levels as low as one part per trillion. Cork Supply expects to triple its capacity to 60 million corks tested by the end of this year. Of course, there is an added cost for such guarantees, with, for example, Amorim saying that NDTech adds between E0.12-E0.15 to the price of each stopper. The fact that demand is outstripping supply suggests that people are willing to spend a premium to seal a bottle with a natural cork. “There are more than 800m cells in each natural stopper; it is an incredibly sophisticated material. Cork was a great closure 10 years ago, it’s just that we needed to make it better,” says de Jesus, explaining the comeback for natural cork. Nevertheless, it should be said that, at the moment, and despite the guarantees for non-detection, there is no such thing as a natural cork closure that claims to be 100% TCA-free, says Riccardo Tiso, sales and marketing manager at Labrenta. For that, he says, you must choose a synthetic stopper or screwcap, having, of course, already established that TCA isn’t present in the barrel, or the bottling line.